Over the last several years, at least to my knowledge, there has been a big push to see more representation of people of color and immigrants on television. And this is good. As our nation becomes increasingly diverse, there is a need to see faces of television that actually reflect the makeup of the U.S. population. In addition, racial and cultural diversity on television challenges the longstanding and destructive ‘whiteness equals rightness’ frame, instead honoring and valuing the talents of persons of all ethnicities. With diversity as our vision or proverbial Promised Land, many of us nodded in appreciation when SNL finally added a black female voice to their cast, Sasheer Zamata, and subsequently added two black females writers, LaKendra Tookes and Leslie Jones. And we’ve heaped unquanitifiable praise on Shonda Rhymes for her role in creating black female leading characters in shows such as Scandal and How to Get Away with Murder as well as well as the contributions of Lee Daniels (Empire) and Kenya Barris (Blackish). Davis’ statement rings true in so many ways and not only for adult actors looking to headline the next big sitcom. Racial and cultural diversity is also lacking in shows and movies specifically geared toward children. Of the channels such as Disney, PBS, and Nickelodeon that cater to a young audience, very few of them have shows where the leading characters are people of color. While people of color, if we are lucky, may decorate the background or school hallways in many of these shows, our voice, perspective, and culture are largely missing. This undoubtedly has a negative impact on children, most notably of color but white ones, too. When children of color can’t see themselves reflected in something as basic as the T.V. screen, it sends a message – whether intentional or not – about who they are and their value to society. When little white girls with long hair and blue eyes are all that little black girls see, they can begin to internalize negative feelings of self worth because they are nothing like the little white girl that they see. And while this notion may seem to be superficial or exaggerated to some, the reality is that children are like sponges and soak up so much knowledge and information around them. At a young age, children have already formed ideas of beauty and intelligence based on what they see and hear around them. Such is the reason why when psychologists, Kenneth and Mamie Clark, conducted the Doll Test in the 1940s on a group of children ranging from 3 to 7 years old, they found that black children overwhelmingly chose and preferred the white doll to the black doll. While the test was administered over 60 years ago, children of color still prefer the white doll to the black one. This suggests that children of color are still internalizing negative messages about themselves based on what they continue to see and hear. Television is just one of the spaces that perpetuates those negative messages and it has everything to do with who is seen and who is not seen on the screen. When white kids only see themselves, they continue to normalize their experience while otherizing the existence of others. This is especially true when the few images of children of color are ones that play to existing, negative stereotypes. In the first several months of Disney’s ‘Girl Meets World,’ the show failed to highlight or include characters of color in meaningful ways. Yet in episode 12 of the show, ‘Girl Meets the Forgotten,’ a black woman is brought to the show who plays the role of a cafeteria worker. And in episode 13, ‘Girl Meets Flaws,’ a young, black boy is brought to the show and portrayed as a bully. In another Disney show that ran for a few years, ‘ANTS,’ the only black boy on the show – Cameron – was often portrayed as dumb, socially awkward, and undesirable similarly to the way that Ernie is on ‘K.C. Undercover.’ These examples prove that when children of color are there, they are sometimes only there to fulfill some racial trope and validate whiteness. This is not to say that empowering images of children of color do not exist. on T.V. They do – but they are few and far between. There are really only a handful of shows, including cartoons, that prominently feature and value children of color in a sea of programs that consider whiteness the default of the human experience. 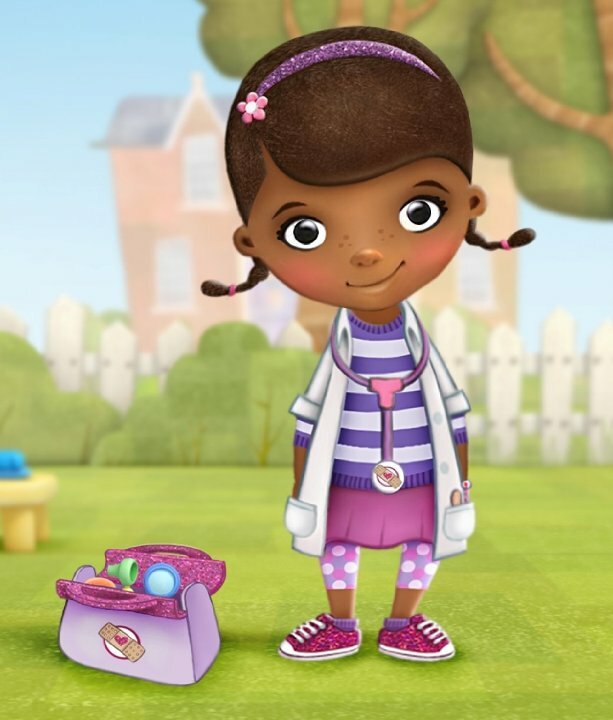 Diverse images have to be more than Doc McStuffins and Dora the Explorer – by the way, have you noticed that images of white girls are often marketed on toy packages with them instead of girls of color? And actors of color have to consist of more than Zendaya, in spite of how fabulous she is, and the Williams brothers (Everybody Hates Chris and Instant Mom). Indeed, by 2020, children of color are expected to represent more than 50 percent of the U.S. population. Our images on T.V. should at the very least mirror the beautiful reality of diversity in our society.